Combine chicken, green onions, water chestnuts and sesame seeds in bowl; mix well. 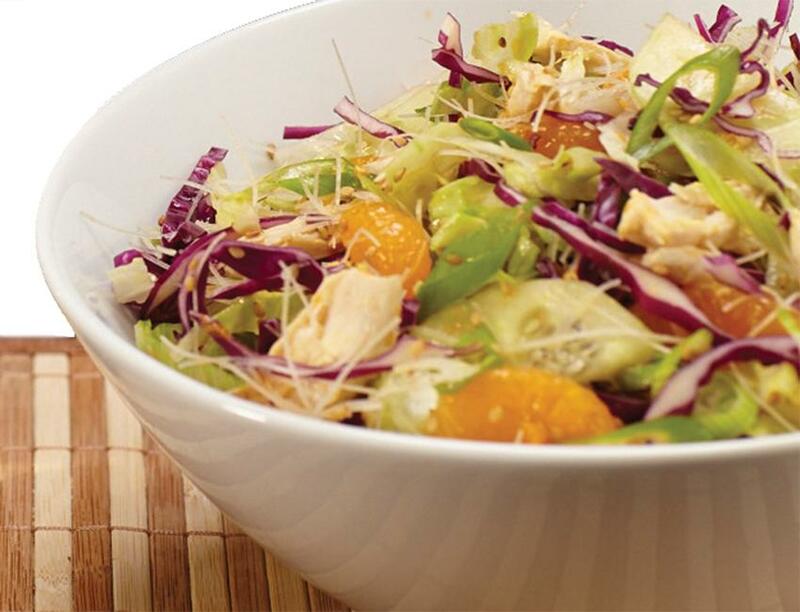 Add lettuce, cabbage, dried noodles and 1 1/2 cups mandarin orange slices. Blend remaining cup of mandarin orange slices with the Marukan Seasoned Gourmet Rice Vinegar then toss and serve.